The bill banning the sale of foam used to consume food products passed the state Senate in Annapolis. Critics contend the legislation falls short of banning all foam products and doesn't make the environmental impact it appears to. Instead, they say, it will hurt small businesses. 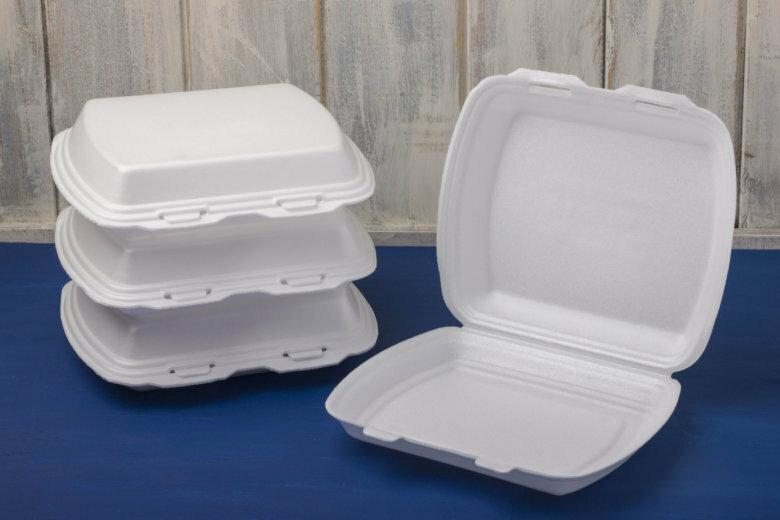 Maryland is closer to being the first state in the nation to officially ban Styrofoam. The bill banning the sale of foam used to consume food products passed the state Senate in Annapolis on Tuesday. Critics contend the legislation falls short of banning all foam products and doesn’t make the environmental impact it appears to. Instead, they say, it will hurt small businesses. “It’s the wave of the future. … Let’s make Maryland foam-free,” said Sen. Cheryl Kagan, a Democrat representing District 17 (Gaithersburg and Rockville). Before her colleagues approved Senate Bill 285 in a 34-to-13 vote Tuesday, Kagan laid out the specifics of the legislation, which bans the sale of expanded polystyrene food service product — commonly known by the trademark name Styrofoam. The bill also bans any sale of food in cups, plates or even egg cartons made of polystyrene. “It cannot be recycled. It doesn’t break down. It doesn’t biodegrade,” Kagan said. Expanded polystyrene is 95 percent air, so once it’s processed and cleaned, Kagan said, it’s not worth the cost of recycling. She admits the bill is “narrow,” as it doesn’t ban the so-called block foam in which electronics and appliances often come packaged. “We’re just saying small Maryland businesses can’t use these products. But the big, large businesses from outside the state can ship these products into Maryland,” said the Republican minority whip, Sen. Stephen Hershey (who represents District 36 — Caroline, Cecil, Kent and Queen Anne’s counties). Others took issue with how small farmers, who use foam egg cartons, and non-profits, like churches who buy Styrofoam in bulk, will be affected. The bill gives businesses and non-profits one year to use and dispose of any expanded polystyrene they may have already purchased. Some cities in Maryland, including those Kagan represents, already have banned polystyrene. On a larger scale, Montgomery, Prince George’s and Anne Arundel counties have also banned foam. Officials in D.C. banned it in 2014.